The former employee at US National Security Agency (NSA), Edward Snowden, has revealed that the British and American intelligence and the Mossad worked together to create the Islamic State of Iraq and Syria (ISIS). Snowden said intelligence services of three countries created a terrorist organisation that is able to attract all extremists of the world to one place, using a strategy called “the hornet’s nest”. NSA documents refer to recent implementation of the hornet’s nest to protect the Zionist entity by creating religious and Islamic slogans. According to secret documents released by Snowden , it was written in “The only solution for the protection of the Jewish state “is to create an enemy near its borders”. That is why israel and USA has been creating wars with iraq, afghanistan, Palestine, libya, and now they are trying to enter syria. The major role is played by CIA – the American intelligence agency, Mossad (the jewish intelligence agency) and British Intelligence MI6, these agencies are working together to form and progress the ISIS in iraq and syria. The so called ISIS is being funded by USA government, and Israel (all is happening secretly and is not public ). 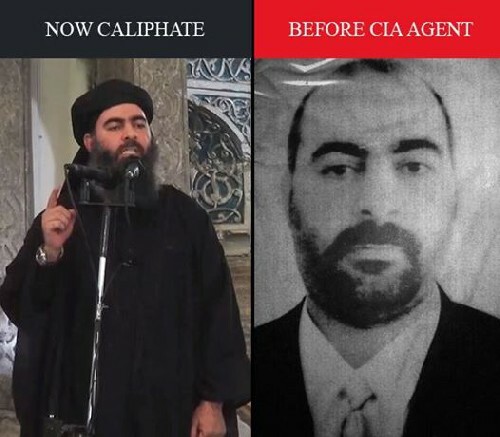 Leaks also revealed that ISIS leader and cleric Abu Bakr Al Baghdadi took intensive military training for a whole year in the hands of Mossad, besides courses in theology and the art of speech. Leaked NSA Doc Reveals ISIS Leader Al Baghdadi (Jew) is US, British And Israeli Intelligence Asset! 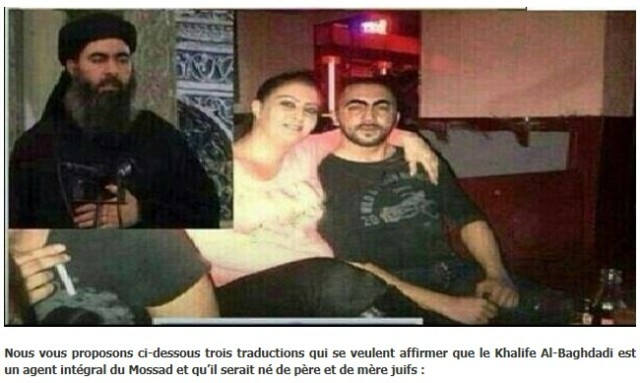 French Report: ISIL(ISIS) Leader Al-Baghdadi Jewish Mossad Agent! Simon Elliot (Elliot Shimon) aka Abu Bakr Al-Baghdadi was born of two Jewish parents and is a Mossad agent. Who is behind Muslim Fundamentalism & Terrorism? Western Illuminist governments and their intelligence agencies! It is deliberate and not a miscalculation as Dreyfuss asserts! They are still owned by the western Illuminati!